Millman’s "Seven Maxims of UFOs"
In 1975, Dr. Peter Millman of the Herzberg Institute of Astrophysics wrote and published a paper which was essentially a policy statement for the National Research Council of Canada (NRC) regarding UFOs. At that time the NRC was the repository and clearinghouse for all UFO sightings reported by civilians and police across Canada. The NRC had even requested and received cooperation from the Royal Canadian Mounted Police throughout the country in the official investigation and reporting of UFOs. This was for the purpose of actual scientific research in meteoritics, with the idea being that many UFOs are meteors and an efficient and rapid series of field investigations could lead to the recovery of meteorites shortly after they were observed to fall. This worked successfully only once, when the Innisfree meteorite was watched, tracked and recovered in Alberta. Millman, one of the most active Herzberg astrophysicists and with an interest in meteoritics, was the scientist who handled most of the UFO reports coming from the public or the RCMP. In fact, many handwritten sets of correspondence between him and witnesses and investigators can be found in the NRC archives available at the National Library of Canada. Among his many publications as an astronomer is "The Seven Maxims of UFOs - A Scientific Approach," published in the Journal of the Royal Astronomical Society of Canada, V.69, No. 4, pp. 175-188. Originally the text of a speech given to the Canadian Association of Physical Transportation Management on March 12, 1975 in Toronto, the article lays out what was the policy and approach of Millman, and therefore the NRC, to UFO sightings. Millman was a frequent guest lecturer on UFOs to many diverse groups, both professional and non-professional, and he leapt at many opportunities to try to dispel the myth of UFOs as he considered the phenomenon. He was, in effect, a combination of both Carl Sagan and Hector Quintanella, with a predisposition that there were no such things as UFOs. Millman recognized that the UFO phenomenon dates back to Biblical times, and “mysterious events in the sky have not materially changed their pattern since man first started keeping records.” To him, this was important since throughout history, “There has never been a fully proven case of physical contact with an alien spacecraft...” Therefore, UFOs are not especially significant phenomena. Basically, “We see what we need to see, what we expect to see, what we are trying to see, what we are conditioned to see.” In other words, witnesses see UFOs because they want to see aliens, and they are fooled by sensory processes. Millman noted that “all instruments are subject to their own particular forms of ghosts and defects in the record.” In effect, radar and photographic evidence of UFOs can be discarded. Millman recognized that many UFOs were likely “little-known or little-understood effects of man-made equipment,” including secret test flights of classified projects. These Seven Maxims were Millman’s recommended guide for scientists in dealing with the UFO phenomenon. UFOs were simply not worth bothering with; they were either hoaxes, hallucinations or illusions. Ironically, Millman cited only three books on UFOs for serious students of the phenomenon. These were Klass’s UFOs Explained, Catoe’s bibliography and Hynek’s UFO Experience. He described Hynek as “as astronomer who has probably had the greatest direct contact with this subject of any of us.” One can only wonder if he had actually read Hynek’s book, since it violated most of the Maxims. In a later book, The Hynek UFO Report, Hynek described how many skeptics within Blue Book and the Condon Committee went to great lengths to explain UFO sightings by stretching possible causes to outlandish lengths, just for the sake of eliminating cases from the “unexplained” category. Millman easily fit this mold. In many cases, he absolutely refused to call a report unexplained. For example, in a classic, early CE3 in 1974 near McGregor, Manitoba, Canada, two witnesses watched a landed saucer shaped object at close range and even walked around it for a complete view, but Millman explained it as a mirage from a town 75 miles away. 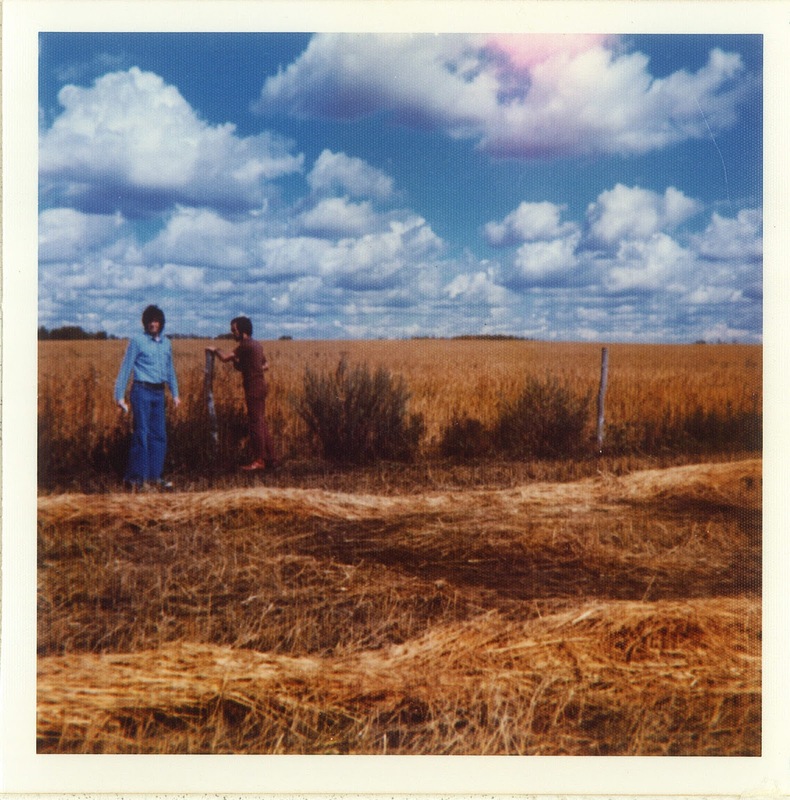 And, when circular “landing traces” were discovered fields in Saskatchewan and Manitoba in 1974 and 1978 (long before Colin Andrews and others had examined the “first” crop circles), Millman publicly gave his opinion that they were caused by fairy ring mushrooms, a completely ridiculous explanation for 16-foot-diameter impressions in wheat. So, although Millman’s Seven Maxims of UFOs were ontologically sound, putting them into practice is difficult for both skeptics and believers who have already made up their minds. Unfortunately, Millman himself fell into one of these categories. With the help of Ashley Kircher and Geoff Dittman, I have produced an annotated list of Crop Circles and Other Physical Traces Associated With UFOs in Canada. Above: One of 12 crop circles found near Rossburn, Manitoba, in 1979. The ring looks dark not because of burning, but because the damp conditions caused the swirled and crushed wheat to begin rotting in the field. Of course, these rings predated the British "beginning" of the crop circle phenomenon by many months. I'm not entirely sure what use it might be or who might have interest in this, but I had been going through my files and found my investigations and research on crop circles from the 80s and 90s. I gathered up all the case files and clippings and other citations and came up with a list of more than 100 (I actually didn't count them) separate physical trace cases that have been reported in Canada. Because crop circles are simply a special case of physical traces (and I note that as with many physical trace cases, no associated UFO is necessary for such a record), they were included in the list. Although I investigated many of the cases in the list myself, others came from a plethora of other sources, some of which are no longer accessible or able to be confirmed. While I think I have a pretty thorough list, I can imagine that some cases were missed for one reason or another. It will be updated if required. Another thing: it should be obvious to even the casual ufology fan that physical trace cases are almost absent now from UFO literature. It's ironic perhaps that hard physical evidence of UFOs is no longer found despite modern advances in technology that might be used for analyses of such discoveries. Or perhaps, the aliens are being a bit more careful not to leave behind evidence of their passing.